Civocracy empowers local governments to connect with their citizens, by assisting municipalities, cities and territories to make decisions in a more transparent way. The platform allows them to harness the knowledge of their citizens, ultimately better shaping communities through improved city consultations. 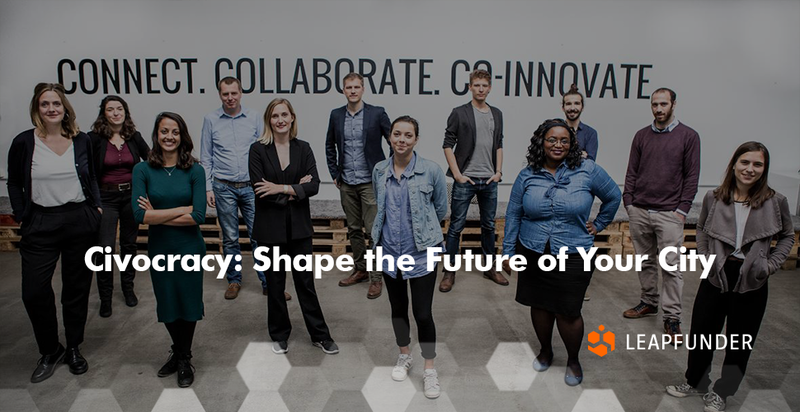 Find out why Civocracy is a product-market fit, what type of investors they’re looking to attract and what are their plans for the upcoming months. 1. Hi Benjamin, thank you for agreeing to do the interview. 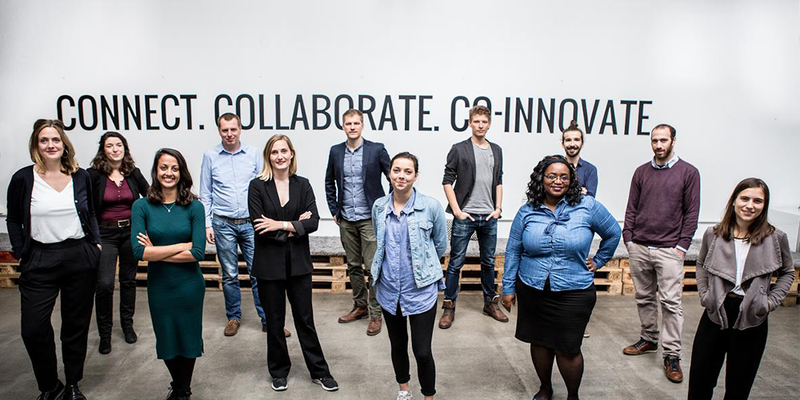 Tell us about Civocracy, the idea that got it all started and the amazing team behind it. The idea began when I was studying for my MPP at the Hertie School of Governance; many of my peers were formulating ways in which they could help improve health policy, fix the education system or transform transportation infrastructure. But to me, there seemed to be a much larger problem to tackle, one which would help fix all these specialised governmental problems more effectively: that is the ways in which governments takes decisions. By connecting directly with their citizens, governments can be more transparent about the decision-making process, and also crowdsource ideas from their citizens. One of my co-founders, Chloe, had seen the potential for social media to transform the political sphere, and our final co-founder, Nicolas, is passionate about creating and nurturing communities. The idea for Civocracy became a fully formulated one: an online platform where the government could engage with the communities to get validation of policy and co-create projects in an open and constructive way. 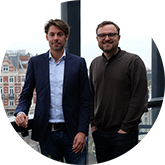 We were selected for Startupbootcamp in Amsterdam, and during the programme, secured our first clients – Losser and Potsdam. In the three years following this, we’ve migrated to Berlin, have 15 clients in 4 countries, and have grown our team to nine: our latest addition was Bassel Tabet, former VP at Credit Suisse, as our CSO. 2. What problems are you trying to solve? What are the benefits of your platform, why is it a product-market fit and how much growth potential do you see for Civocracy? As with the rest of the world, governments are expected to be more digital. However, unlike in the business world, there are limited technologies or startups trying to solve the problems governments are facing. Additionally, many governments are introducing legislation to make citizen consultation mandatory when undertaking urban development projects. We have created a smart cities platform that slips seamlessly into government decision makers’ everyday life to help ease the way they work. The Civocracy platform empowers these government decision makers to reach more of their citizens more efficiently, and has been proven to get more in-depth, qualitative feedback that helps structure policy and bring new solutions to the table. There are a lot of public service workers making decisions on a daily basis, which means there is a lot of potential for growth! 3. What type of investors are you looking to attract? Tell us about international angel investing – what is the difference between investors in Germany and the Netherlands? We’re looking to attract investors both seeking large financial return, as we see huge exit potential, and desiring to see a positive impact. Our experience with international angel investors is brilliant! We have great Leapfunder investors who are serial entrepreneurs, and angels who work at booking.com, ING, and Marktplaats. We’ve really benefited from their expertise – we want to expand internationally, so need the vantage point of those who have invested in globally focused companies. 4. You chose Leapfunder as your online funding platform. What makes it the right tool for your startup and what do you expect from the round? How do you manage the relationships with Leapfunder investors? We chose Leapfunder due to the mix of ease and access to experienced investors actively looking for interesting startups to invest in. This is our fourth Leapfunder round, and every time we’ve met new investors who have brought their experience and perspective around government, B2B models and technology. Leapfunder is the right tool for us as the investors we’ve connected with are all people who understand our value and potential. We ensure we keep our investors actively updated on our progress (via email and calls), and of course through in-person meetings when possible: it seems I have a second home on planes at the moment. In the coming months, following closing our Leapfunder round, we plan on replicating our success across other Western European countries, including Belgium and Switzerland, and plan to expand further in our existing marketing (the Netherlands, Germany and France). We’ll also be launching our second educational programme, Territoires Fédérateurs, which teaches government agents civic participation best practises. Both of these will enable us to secure our position as the European leaders in civic participation. We are also working on launching our series A round, which will be live in June this year! Thank you for your insights, Benjamin! We wish Civocracy the best of luck!